What goes unseen behind the glossy images of big-scale official events? While preparations for the 21st World Cup are in full swing, all over Russia hundreds of amateur football teams are taking part in local competitions for the many Russian regions, republics and provinces. Empty seats, no camera flashes and no sponsors is often the reality of such matches. Taking eye off the official events and narrative, photographer Sergey Novikov with his Grassroots project strives to draw wide audience’s attention to problems that amateur football is facing in Russia. 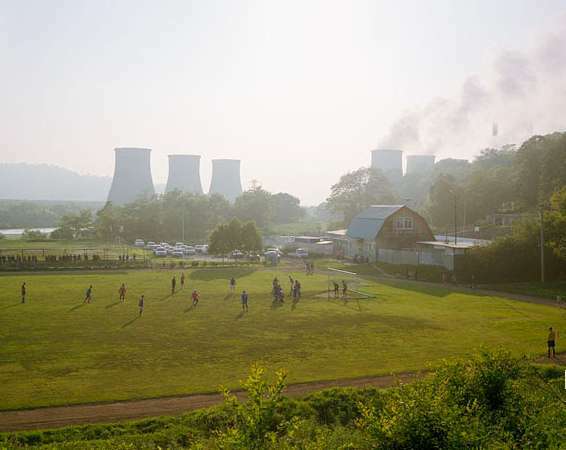 The photographer aspires to showcase the diversity of football landscape in Russia, the unique location of the country’s football stadiums, their role in urban infrastructure, regional identity and the influence they have on the local communities. The project also focuses on initiatives in sport at grassroots level. PR Info _ The Lumiere Brothers Center for Photography presents Sergey Novikov’s personal exhibition: GRASSROOTS. Amateur football in Russia, which will take place in the White Hall of the Center from 8th of June till 15th July 2018. Taking eye off the official events and narrative, photographer Sergey Novikov with his Grassroots project strives to draw wide audience’s attention to problems that amateur football is facing in Russia. The photographer aspires to showcase the diversity of football landscape in Russia, the unique location of the country’s football stadiums, their role in urban infrastructure, regional identity and the influence they have on the local communities. The project also focuses on initiatives in sport at grassroots level. Speaking of his project which he has been working on since 2012, Sergey says: «I believe that a stadium has a significant influence on social, cultural and even political life of a city». 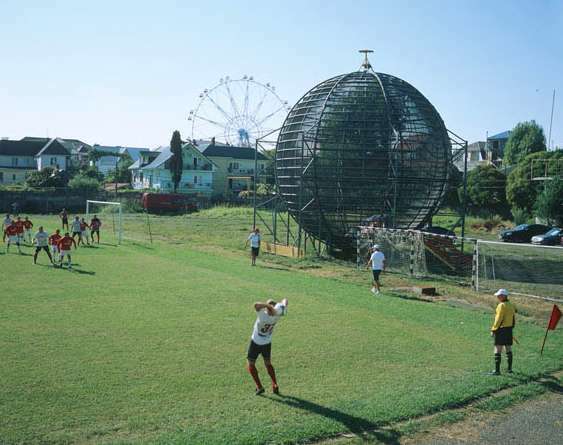 The exhibition comprises photographs of football pitches beautifully scattered around Russia, group portraits of amateur football teams from different regions and a web documentary Fight or Flight featuring video shots of amateur matches found online. Grassroots is a multifocal photographic project speaking not only about football but reflecting the state of modern Russian society and culture. In Sergey’s works both the forefront story of football and the background are equally important. The viewer’s eye travels from the tribunes and the match itself which the author captures breaking all the rules of sport photography, to the middle of the picture where the architectural appearance of the stadium and its infrastructure dominates. Behind it, in turn, there is the backdrop of the extremely diverse scenery varying from a dull cityscape to stunning natural monuments. The photographer’s role here is that more of a topographic surveyor, a sociologist and an anthropologist who studies architecture and visual expressions of post-soviet reality as an artist with scrupulous attention to detail. Part of the project was displayed in Yekaterinburg within a New Landscape group exhibition in Yeltsin Centre (2018), at the 11 mm Football Film Festival Berlin (2018) and at the international photo festival in Arles as part of its screening programme (2017). Moscow will see the first solo exhibition of this project.